If you know what you need, skip straight to our contacts page now to get a quote and make a booking. Here is Dave’s man and van service for your light removals from flats, bedsits and small houses. We can collect and deliver around Cornwall and anywhere in the UK. Whether you have a single item you want speedily delivered at a good price or bulk, Dave’s reliable man and van service for all your moving, delivery and transportation needs. Competitive prices. Please call weekdays, evenings and weekends. 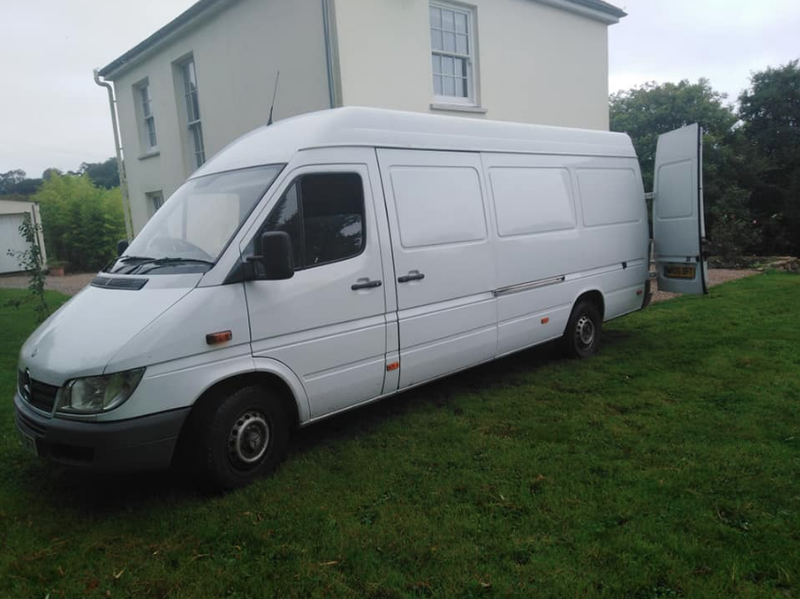 Since investing in a Mercdes Sprinter LWB High Top, Dave is setting up his own direct service for all your light removals, delivery and transportation needs around Cornwall and the UK. If you text Dave on 07763001656 with a brief description he will reply, ie “where to where and how much stuff and when” or there is an inquiries line on 01326619311 also to ask for a quote. (no voicemail please).